In addition, dogs that are trained to find dead bodies could very way hamper an investigation, rather than help it. Police sniffer dogs are highly prized. Any dog breeder that supplies prospective pups to the force will usually see the minority of them make it through the gruelling training regime and final tests. Cadaver dogs have found themselves in the spotlight in recent years, most notably in the investigation into the disappearance of British toddler Madeline McCann in Portugal. In that particular case, the dog detected the “scent of death”, but further investigation concluded that this was misleading. 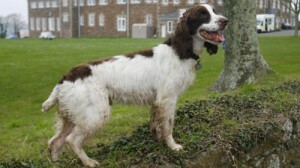 Sniffer dogs were also used in the search for Shannon Matthews in 2008. They were able to detect the smell of corpses, but this was due to the fact that many of the houses searched had pre-owned furniture. This furniture was found to have been bought from houses where people had died. Responding to the report, the Association of Chief of Police Officers said that it was in consultation with police forces to put national standards of training in place by the end of this year.